As part of the work-programme, the AAL Programme intends to launch a new Challenge-led Call for Proposals in February 2018: “Smart Solutions for Ageing well”. AAL Call 2018 is open to collaborative projects developing ICT-based solutions targeting any application area(s) within the AAL domain, with a focus on specified markets. AAL Call 2018 allows for more flexibility regarding the scope, size and duration of the proposed projects (including small collaborative projects – please see below). “Collaborative projects” (carried out by consortia composed by at least 3 organisations from 3 different countries including an end user organisation and a business partner) will still be funded through this call. The big news of the Call 2018 is the inauguration of a new and agiler approach to innovation: the Small Collaborative projects. Small collaborative projects have a duration of 6 months, a maximum co-funding budget of €300.000 and leaner application and reporting procedures. 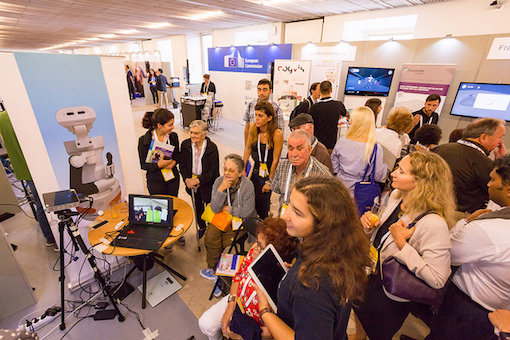 The main objective of the small collaborative projects is the exploration of new ideas, concepts and approaches for ICT-based solutions for older adults. They should reach out to new stakeholders for inclusion in (future) development of AAL solutions, build strong collaborations with end-user organisations, support community building with new customers and create shared agendas. Be reminded that the final call is intended to be published at the beginning of February, so keep tuned on our website and social media to be among the first ones to apply. And if you want to know more about the ways of applying, listening to the experts and find a partner to start your project, get ready to attend the Information Day at the end of January (date to be confirmed).